So, as you can imagine, I know a thing or two about writing e-mails and how to make your e-mails effective, concise and to-the-point. And considering that I’ve been receiving quite a few requests to provide a comprehensive guide on how to write e-mails in English, I decided to publish this article where I’ve compiled the most popular means of expression used in formal e-mails. Formal e-mails which is official communication at work, with various institutions and people you don’t know. Informal e-mails which is when you e-mail your friends, family and people you know very well. In reality though, it’s sometimes quite hard to draw a distinct line between the two for the simple reason that you can have a situation, for example, when you’re very familiar with your superiors at work. In theory, it would be considered formal communication. In reality, there’s nothing wrong with you using less formal means of expression in that communication – and believe me, it’s common practice in companies and organizations all over the world! Anyway, for the sake of simplicity, we will look at formal and informal e-mail writing separately, so in today’s article let’s see what English phraseology and expressions is used when writing formal e-mails. A greeting is the first line of the e-mail; basically it’s how you address the person you’re contacting. Dear Mr/Ms [ followed by surname], – it’s worth noting that lately Ms is replacing Mrs (married) and Miss (an unmarried woman) so basically you have two options – Mr for men and Ms for women. Dear [followed by name], – if it’s a person you know on a more personal level, you can address them by their name, for example, a bank manager who happens to be your former school mate. Hi [ followed by name], – it’s actually totally acceptable to greet a person with a “Hi!” even in professional e-mail correspondence provided you know each other very well – so there’s no reason why you couldn’t address your boss, for example, the following way when writing an e-mail: “Hi Mark,…”! Opening phrases are the ones you’d typically use to provide the main reason for writing the e-mail. In relation to the e-mail I received, – if your e-mail is a response to another e-mail sent by that person, this is a good way of starting it. I am writing in relation to – and this is a great way of beginning a sentence which would explain why you’re writing the e-mail. I am writing in connection with – this is pretty much the same phrase as the previous one. I am writing with regard to – and this one also conveys the same message, it’s just that it’s worded differently. I am sorry it has taken me so long to respond to your query – it’s only human that you can’t always respond to your work-related e-mails on time, and this is a perfect way of apologizing to a customer, for example, for keeping them waiting. With reference to…, I would like to inform you that… – this is a very handy way of letting the other person know why you’re writing the e-mail. Thank you so much for the quick response, I really appreciate it! – this phrase, I guess, is quite self-explanatory, isn’t it? Thank you for getting in touch with me (us)! – I often start my e-mails with this phrase and the reason I do it is simple enough – I want to make the recipient feel appreciated, and I’d warmly suggest you do the same if working in a customer support related industry. If you are interested to know more useful expressions, read also this article: 35 Perfect Ways of Starting Sentences in English! I would like to inform you that… – this is how you can start a sentence where you’re providing specific information to the recipient of that e-mail. I am writing to inform you that… – pretty much the same as the previous one. I am writing to let you know that… – and again, this phrase can be used the exact same way as the two previous ones, it’s just that it’s worded a bit differently! I am attaching the file (report, spreadsheet etc.) you requested to this e-mail – if you have attached something to your e-mail, this is how you describe it. Please see the file (report, spreadsheet etc.) attached – a different, simpler way of describing the same thing as above. According to the information available to me,… – a great way of starting a sentence in which you’re letting the e-mail recipient know that whatever you’re saying is based on a particular source of information. I regret to inform you that… – this is how you provide bad news such as refusals via an e-mail. For example, the mortgage application has been turned down and you have to inform the customer of that decision. I am pleased to inform you that… – and this is how you give good news! I would really appreciate if you could provide me with some information on… – if you’re asking for some specifics via an e-mail, this is the right way of doing it. I would be grateful if you could… – and this is how you can initiate a request asking the other person to do something for you. I was wondering if you could…? – this is an alternative way of asking the same thing. I understand you must be extremely busy at this time of the year, but I would really appreciate if you could… – most industries experience seasonal growth in sales figures or demand for their services, so if you happen to contact someone at that time of the year via an e-mail – this is a good sentence to use! I am sorry to ask you this on such short notice, but… – if you’re giving the other person very little time to respond to your e-mail, this is the right way of apologizing for it. I can assure you that… – this is how you reassure the e-mail recipient of a successful end-result. I will look into the matter as soon as possible – self-explanatory, isn’t that right? … and I will inform you in due course – the expression “due course” simply means that you’ll get in touch with the other person when the information is available to you! If you require any further information, please do not hesitate to contact me – this is how I often close my e-mails when responding to a customer’s query. If you require any further information, please feel free to contact me at any time! – another way of closing the e-mail and encouraging the other person to contact you if they have any need to do so. I am looking forward to hearing from you soon – this is one of the most commonly used phrases in written communication, but it doesn’t mean you should stay away from it – it’s quite the opposite, actually! It’s a great way of finishing the e-mail and letting the other person know that you’re eager to hear from them soon. I apologize for any inconvenience caused by the delay – if you’ve been late dealing with this particular e-mail, this is how you apologize for it at the end of your written response. Please let me know how I can be of further assistance – another popular phrase of finishing off your e-mail and reassuring the customer, for example, to get back to you in case they have any further questions. Please let me know if you… – this is how you’d start a sentence when asking the other person to inform you in case they need something. 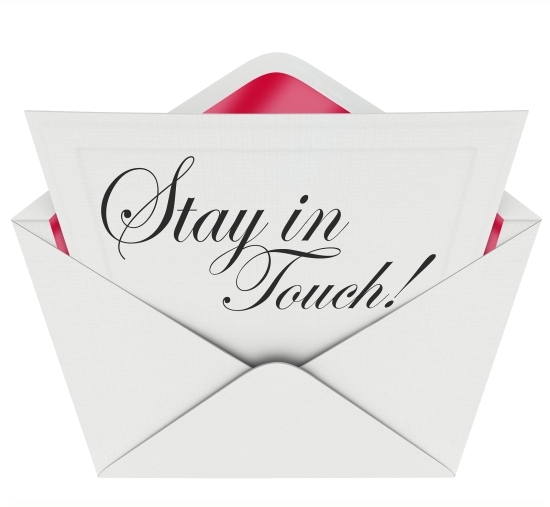 Please advise as necessary – this is a very formal phrase which can be used as a general closing of the e-mail – it basically tells the recipient of your e-mail to keep you informed. Best Regards, Kind Regards, Regards, Sincerely, – I guess there’s no need to explain what those words mean – we’ve all seen them and most likely used them, and there’s no real need to try and find any differences between them. Suffice it to say, they can all be used interchangeably as a way of paying your respect to the person who’s going to read the e-mail. I, for example, sign my e-mails with “Best Regards” – but then again, there’s no reason as to why I couldn’t use “Sincerely” or just “Regards”. It’s just that I’ve gotten used to using “Best Regards”, that’s all! And here’s a fictional e-mail that I’m going to write just to show you how all those phrases can be used in real life communication! Thank you for getting in touch with us, and I really hope that this marks the beginning of a long and mutually beneficial relationship between us! With reference to your broadband connection application, I would like to inform you that our service is available in your building and I am writing to inform you that one of our engineers is going to be in touch with you within the next 24 hours to arrange a visit. Also, I would be really grateful if you could respond to this e-mail today with a filled in contract – please see the application form attached below. I am sorry to ask you this on such short notice, but please allow me to point out that it is in your best interests to get it done as quickly as possible to avoid any delays due to an increased subscriber activity in the area. If your e-mail communication happens on a very official capacity (meaning – you communicate with customers or superiors in relation to very important matters), try to avoid contractions. It means you have to write “I am” instead of “I’m” and so on. The less formal the e-mail is, the more likely you are to use contractions, and by the way – if I were to write the above e-mail in real life, I would most likely write “I’m looking forward…” instead of “I am looking forward” and so on. I’m a really friendly guy, you know, so personally I would see the lack of contractions as a too formal way of writing. But then again – it all might depend on the company policy, so I guess it’s always best to run it by someone first – just to avoid getting yourself in trouble! Hope y are doing well ! i am just writing a email to Vendor to closed the pending complaint which are pending since last year. pls check that is correct sentence ! Priority :To be resolved on high priority. Update: Still your Technician not reached at site, kindly align your technician to address the complaints & get it done asap, we can’t wait further.